Big Brothers Big Sisters always has a list of kids waiting for a mentor. It is estimated that here in Kansas, over 60,000 youths fit the profile of the youth being served by BBBS. Here at Pass It On - Outdoor Mentors, we work to recruit mentors, men and women, who will step up and spend time with a child outdoors, hunting and fishing. 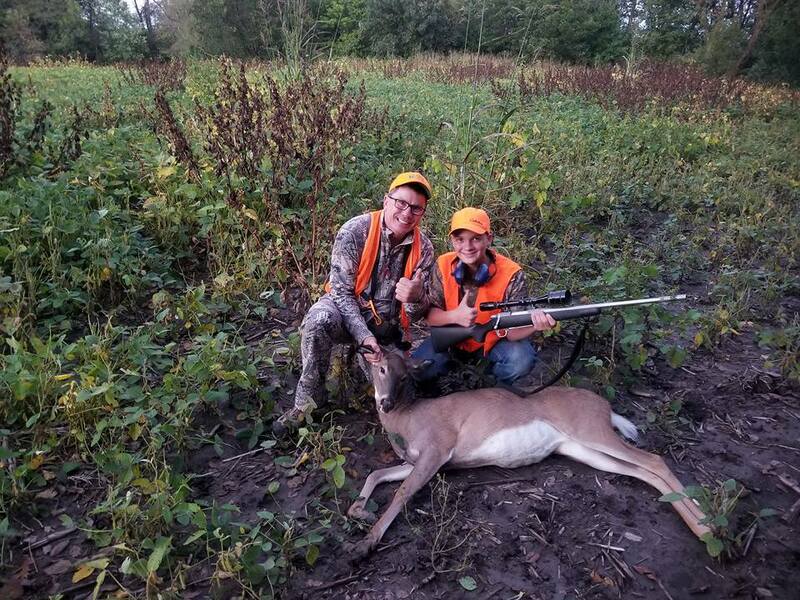 Too many of the kids being served by youth mentoring organizations like BBBS will never have the chance to experience the thrill of a hunt unless a mentor makes it possible for them. One young man currently on the waiting list is Gage. I first met Gage when he attended a Hunter Education class we hosted last August. Gage was attentive and well-behaved throughout the class, asking questions and showing interest in the subject matter. During the special doe season in October, Gage joined us on a hunt in SE KS with a couple of volunteers. We had 12 kids out that weekend at various locations, but Gage was the only one to come home with a deer. He was hunting with Shannon and Mark and they had a number of does in a field of tall grass and weeds. They asked him if he had a clear shot on one of the does and told him to take the shot when he was ready. But when the gun fired and the deer scattered, the guides weren’t certain which one of the does Gage had targeted. After a short time to give the doe time to expire, they found her with a well-placed shot not far from where she had stood before the shot. When Gage met his mom after the hunt, she was just as excited, if not more so, than Gage. The next day, I got a call from Gage’s mom, asking about having the doe mounted for him. After all, it was Gage’s first deer and she wanted to give him the mount for Christmas. It’s pretty special when a mother will give her son that kind of gift. The folks at the Governor’s Ringneck Classic invite Pass It On - Outdoor Mentors to bring 2 of our youth hunters to the event each year. I usually try to select one who is matched and one from the waiting list. Gage was an easy selection. Each youth hunter receives a lifetime Kansas hunting license and a lifetime membership in Pheasants Forever. Gage and Angel, the other youth hunter, spent the Friday afternoon before the hunt, burning through round after round at the 5-stand course. Gage also got to meet and talk with Nick Hoffman, a fiddle player from Nashville and host of Nick’s Wild Ride which airs on the Outdoor Channel, to discuss their shared musical interests. Nick even gave Gage his cell phone number and encouraged him to reach out with questions. Gage and Angel both handled themselves well on the hunt, demonstrating safe gun handling and working well with the other youth hunters and guides in their group. On the way home from Colby that Sunday, we hit a few WIHA fields, and again the boys handled themselves well in the field. The problem is that Gage will have very limited chances to go again. We try to get kids on the waiting list as many opportunities as we can, but there are only so many opportunities and so many more kids. That’s where an Outdoor Mentor comes in. We need to find a mentor who will get matched to Gage and take him hunting and fishing. And not just Gage. We have lots of other boys and girls who would welcome the chance to spend time outdoors, hunting and fishing and sharing that time with a mentor who would teach them to become responsible outdoorsmen/women.